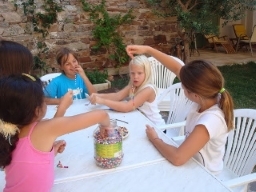 The aim of this French summer course is to offer children (boys and girls) the opportunity to spend a linguistic vacation in a pleasant environment on the Riviera. 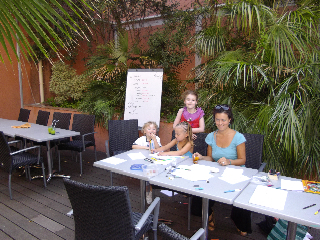 At an early age, the child will get a good start in his/her life learning basic French during the course while spending an enjoyable and enriching holiday in the same school and same town, together with their parents. 1. Suitable for Children between 6 and 9 years: who can already read and write .. A classical program that is both efficient & effective in learning basic French including the below workshops + study visits in town in stores, library , markets, cafe terraces, Cultural Center with Cyber media library, Town Hall, et.c ....Both oral and written exercises. 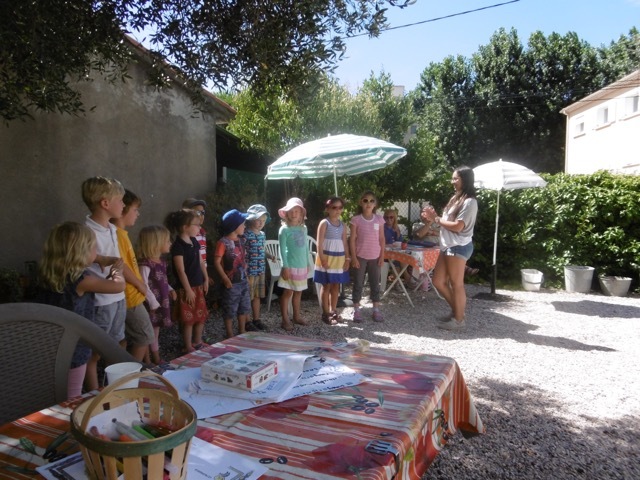 - All these varied activities never last more than 20 minutes so join our french summer course on the Riviera today! Ps:If you want to register your child/ children under 6 years , around 5 y.o … who already can read and write and you consider him or her as premature, you will have to accept they will be integrated in this above group with your agreement … and please note that our summer camps do not accommodate children with special needs. We reserve the right to cancel or refuse registration. 2. 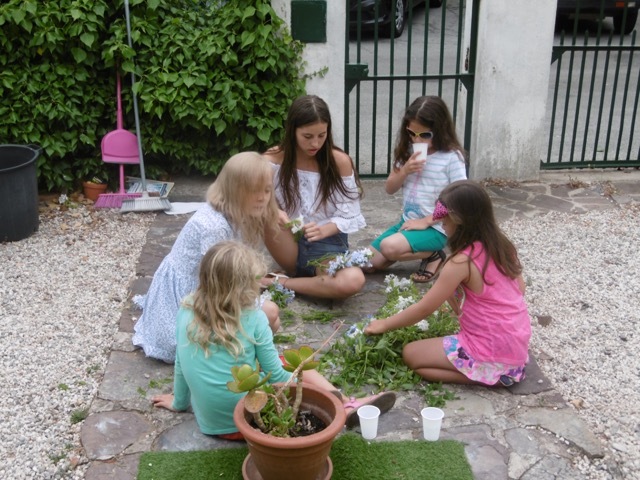 Children, 9 to 12 years, beginner, intermediate or advanced in French: a now phenomenon that we have been witnessing more and more in recent years. 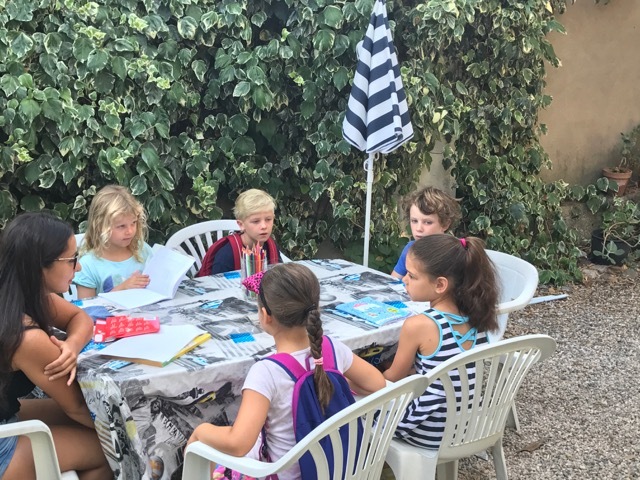 Boys and girls from English schools in Canada, the States, Mexico or other native schools in Europe, attending an accelerated program in French and who enroll in our pleasent summer kids camp in France, to practice and improve their oral skills and conveniently located on the Riviera. Our 4 lessons are organised into a convenient 45 minute session in the morning from 9:00 a.m. to 12:30 p.m. including a 30 minutes break. 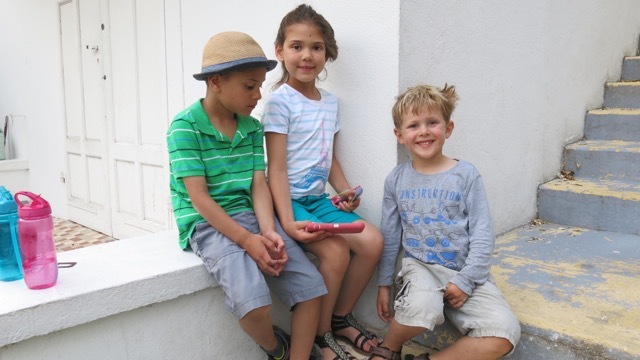 Whenever possible there will be participation by French kids in the same age-group to insure a more realistic atmosphere in the classroom. Five - six children per sub-group max. In the same locations as the classes for the adults. 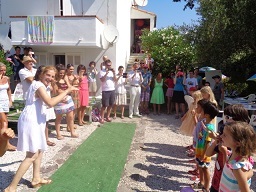 That enables the parents to meet their kids every day during the coffee-break at 10.30 and creates a very family friendly atmosphere in the camps sutiable for adults and children on the Riviera. 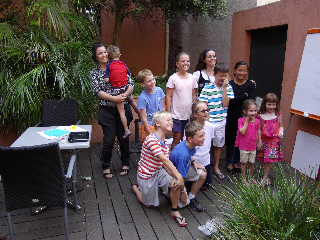 Although the groups of max 5 kids are sufficiently separated not to disturb each others, both the children and their teachers remain within eyes contact and that too creates a pleasant homey and cosy atmosphere. 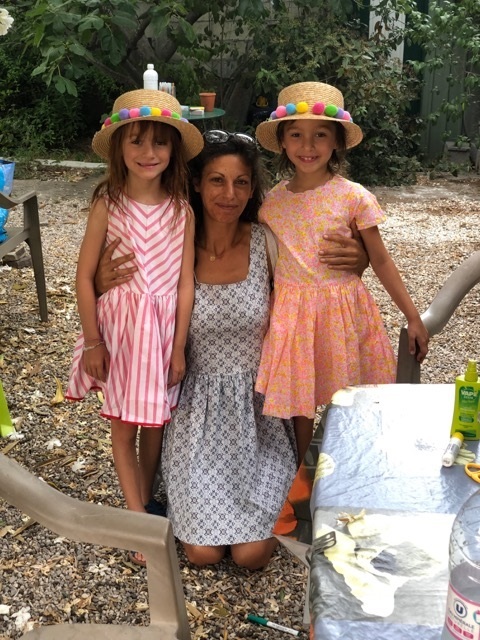 We have always at least two or three of talented, young and professional French assistants/teachers hat are efficient & effective in their teaching style (Laura, Dorine, Baya) and who are very fond of children. 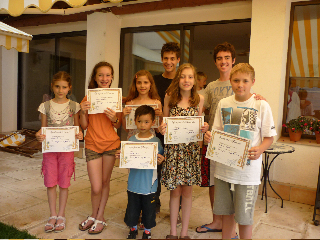 With great success they took over children's groups of different ages and different language abilities. 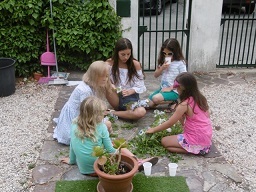 Regarding tuition for the children's course under "The Basic Course Fees, we offer the parents who are also enrolled in the classes a rebate of 60 Euros per child for a 2 week's course and 90 Euros per child for a 3 or 4 week's course for a maximum of two children.